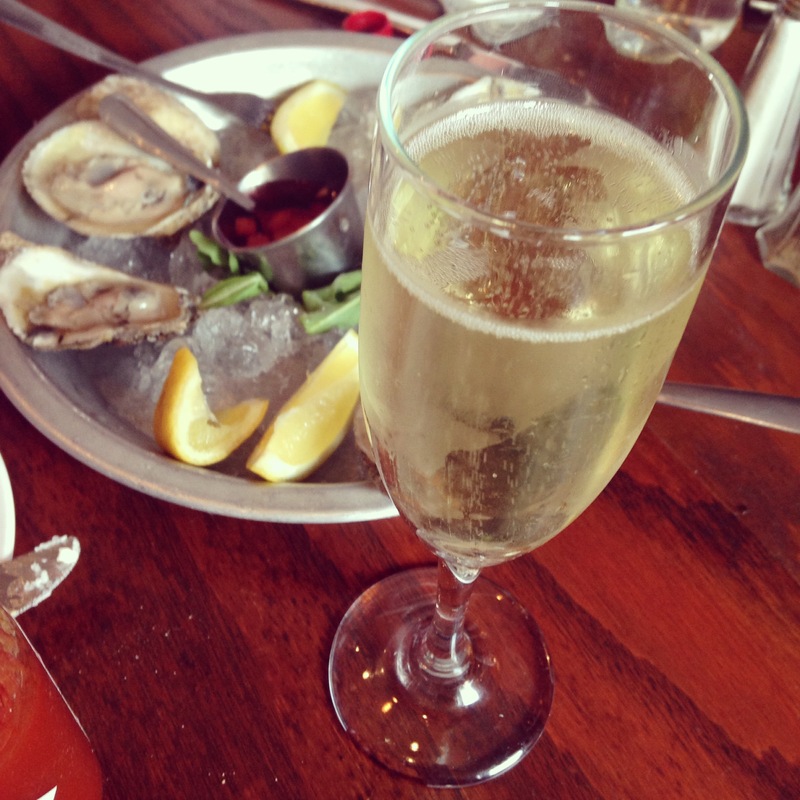 One of the greatest summer traditions in New York City is the $1 oyster happy hour. Walk down Bedford Ave. In Williamsburg, Brooklyn on a sunny afternoon, and you will pass at least half a dozen bars with chalk boards advertising their oyster specials. 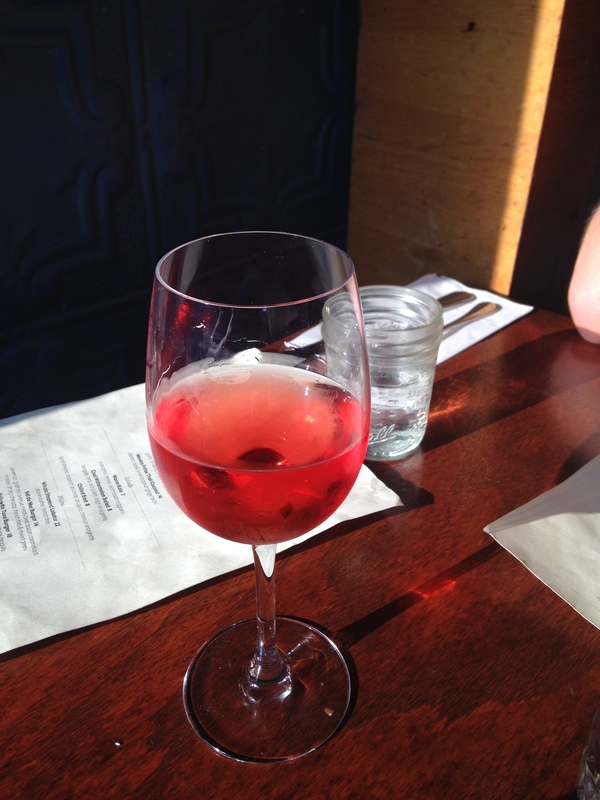 Although we are already into August, I went to my first oyster happy hour this summer finally last week. We decided to try out Sel de Mer on Graham since it not only had dollar oysters but half off beer and wine until 7. I started out with the Malbec Rose. It wasn’t fantastic, but it was chilled and felt very summery. 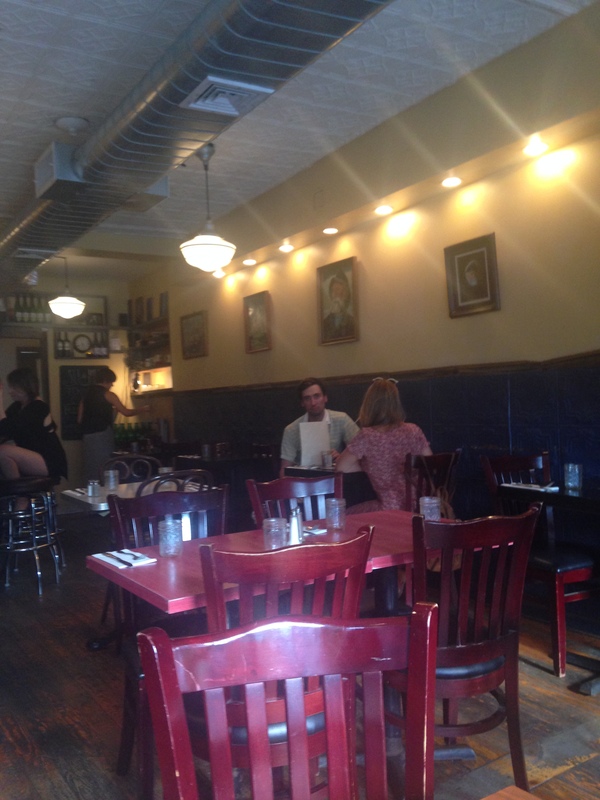 Almost empty at 5:30 on a Friday afternoon, Sel de Mer is a quaint, very nautically themed seafood restaurant. I really liked that they brought us fresh bread and (probably overstated but delicious) salted butter. I saw other customers ordering whole lobsters, fish and chips. The meals looked pretty good, but we were only there for oysters. Between three of us, we managed to consume 18. Here are the first six. I liked that their vinaigrette was homemade and watermelon flavored. I personally didn’t like the small watermelon chunks on my oysters, but the actual taste was tangy and added to the experience. I switched from the rose to the Blanc de Blanc, which was a much better choice. What I really love about oyster happy hour is not just the food, but also the whole ritual of it all. Everyone agrees on how many to start with, never enough. Someone squeezes the lemon over them all. Each person has a different way of dressing them and eating them. I would recommending stopping by Sel de Mer for their happy hour if you are in the area. Not only was it not crowded, but the drink specials were good, too. 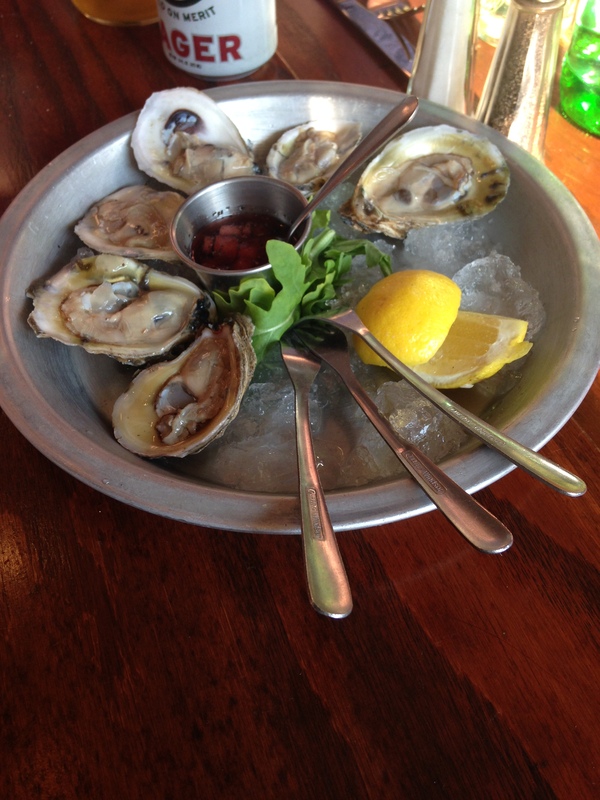 But with so many options for oyster happy hours, there is no excuse not to go!